The iPhone and GPS-equipped iPad include a “Places” feature in the Photos app which allow you to see pictures based on geographical location. 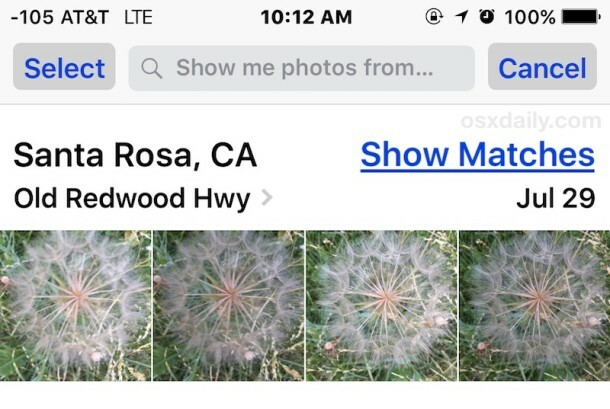 This works to show your own photos by location, and also photos that have been shared with you that you saved to your own Photos app Camera Roll. 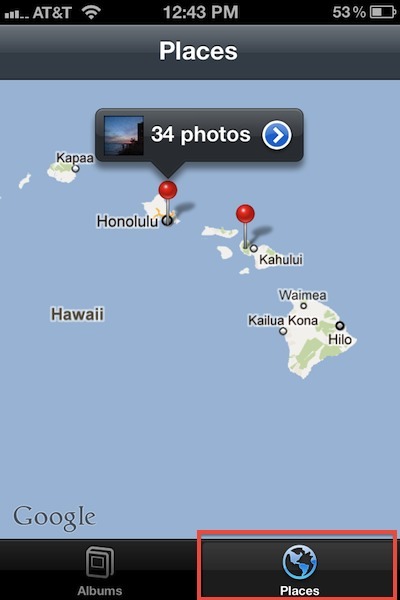 This feature is only accurate to use if you have Location Services and geographic tagging enabled for the photos app. This works with all versions of iOS Photos app that are even somewhat modern, though how it functions and exactly how it looks varies a bit from version to version. Cool if you travel, not so cool if you just drive work to home all the time. I’ve found that this works fine and the Geolocation data is kept whilst the images remain in you ‘Camera Roll’ folder, but this info vanishes once you organise these pics into new folders, like ‘Holiday – Spain 2010’ for example. If anyone knows how to get this info back or retain it I’d love to know. this only works for literally 4 out of over 500 of my photos. what am i doing wrong?! They have to all open in the same Preview window, then make sure you select them ALL rather than a screenful at a time. This was great, until IOS7 removed the feature — I have a few thousand pictures on my phone, and it’s no longer possible to see them on a map unless I zoom in to a “moment”, so if I want all pictures I’ve taken in Singapore, I can’t get them any more, and instead have to buy a new piece of software to do it. Pathetic.